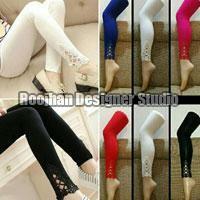 We are offering net ankle leggings basic leg material is rib modern latest trend in leggings. 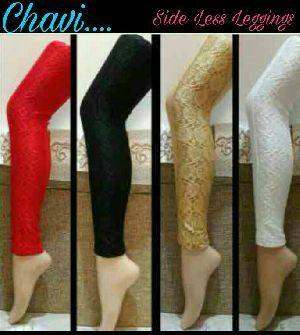 Available in myriad of colors, our Ladie's Half Net Leggings are a wonderful wardrobe addition. 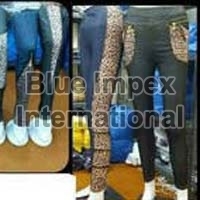 The company is a distinguished Manufacturer, Supplier and Exporter of Half Net Leggings. We offer these in different sizes and designs in order to meet the diverse requirements of the buyers. We hold the expertise to deliver bulk orders of these within the allocated timeframe. We are a quality-conscious firm and make sure that our offerings are prepared using the world-class raw material and work methods. Also, the material is sourced from the trusted places only. We have a good rapport with the prominent e-commerce merchants who provide us a secure payment gateway. With this, we guarantee instant and hassle free transactions. 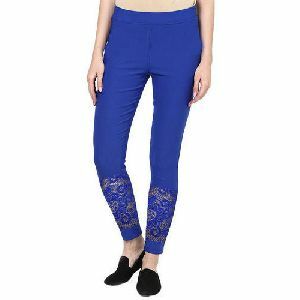 By giving your look lively double your fashion and get in touch with your feminine side when you wear this WhiteBlack Printed Jeans by COLLEZIONI MODA.